​Rupert Murdoch, the CEO and controlling shareholder of 21st Century Fox, is reportedly stepping down as chief executive of the company. The 84-year-old will cede that title to his son James, though the father will remain the executive chairman of Fox. It is unclear whether the reorganization of the media conglomerate will take place in the latter half of this year or in 2015, reported CNBC, which first broke the story, citing numerous sources close to the Murdochs. James, 42, will be in charge of the day-to-day management of Fox. He will work in tandem with his 43-year-old brother Lachlan, who will become an executive co-chairman of the company, as well as with his father. Along with Rupert Murdoch, the Fox C-level management team is also losing Chief Operating Officer Chase Carey. The current COO is expected to exercise his right to an early release from his contract, though he is likely to stay in some capacity through 2016, sources told CNBC’s David Faber. Carey has been with Fox since 2009. James has been the co-COO for four years, leaving his job running BSkyB to join his father’s company after Fox subsidiary News International was rocked by a phone-hacking scandal in the United Kingdom. Carey’s decision to step down as COO will mark the first time that Fox senior management will be solely in the hands of the Murdoch family. 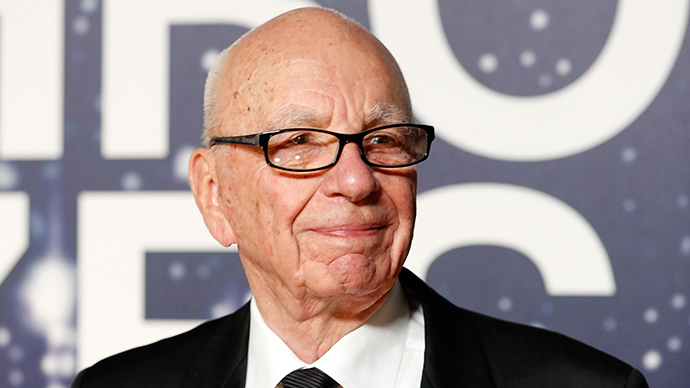 The Murdoch patriarch controls 39.4 percent of the voting shares at Fox through the Murdoch Family Trust. He will remain chairman of News Corp.
Rupert Murdoch was born on a small farm outside Melbourne, Australia. He began building his media empire there after inheriting two newspapers from his father, a noted war correspondent and newspaper publisher. In 1968, Murdoch moved to London, where he bought the popular Sunday tabloid, News of the World, followed by a second tabloid. He began buying American newspapers in the 1970s, consolidating them under the News Corporation holding company in 1979. After gaining US citizenship in 1985, he purchased 20th Century Fox Film Corp. and Metromedia, then the nation’s largest several independent television stations, allowing the elder Murdoch to branch out from publishing to entertainment. Federal law bars an immigrant from owning more than 20 percent of a broadcasting license, requiring him to become a US citizen. In 2013, Murdoch restructured his media empire, separating the entertainment and publishing sides into 21st Century Fox and News Corp., respectively.